The hybrid system was launched in 2009 with Greenline 33 as the first production boat available with the Hybrid drive. With constant technological development we now have the 3rd generation of the Hybrid drive available. Apart from the convenience of having 230v AC available at all times, the advantage of the hybrid drive is also the silent and emission-less navigation, which the boating community now calls “gentleman’s boating”. Why? Because only the Greenline Hybrid allows you to sail without disturbing your neighbors at the anchorage or in the marina. The Hybrid drive allows for up to 20 nautical miles at approximately 4/5 knots on a full charge which is more than enough for a typical leisure day on the water. The protected hybrid system connects the 4 modes of the operation with full integration and simplicity. A control system simplifies the interface to the user via a single (Diesel/Electric) switch. Shore power sailing mode: at the dock, the boat is plugged into the 230 V (120 V) AC shore power supply. The battery pack is under charge and the inverter provides AC power to run home appliances like the fridge, TVs, etc. Diesel drive charging mode: the diesel engine propels the boat and drives the generator, which recharges the battery pack. At anchor charging mode – charging with solar panels: the solar roof array charges the batteries, which provides a 230 V AC power supply to the appliances via an inverter. If the level of battery charge drops below a set value, the diesel engine is switched on in order to drive the generator and charge the battery pack via generator(s). The propeller is disengaged (the gearbox is in neutral). This is the anchor charge mode. Electric drive propulsion: in the electric drive mode the boat propulsion is provided by the electric motor/generator using the power from the Lithium battery. This zero-emission mode is used to sail in and out of a marina or anchorage with no noise, no smoke and an insignificant wake. At 4 knots a fully charged battery pack provides a range of up to 20 miles. Regardless whether you choose the Hybrid or a standard diesel drive, your Greenline can collect the power from the sun, utilizing highly efficient solar panels on the hardtop producing plenty of electricity to power all systems including home appliances with 230 V OR 120 V AC power to make your living onboard as pleasant and convienent as possible. The photo-Voltaic (PV) panels on the hardtop keeps the batteries fully charged and provide additional energy for the boat’s electric drive system. 6 PV panels with forced air cooling deliver up to 1.8 kw of electric power in daylight conditions. As a result, they are capable of supplying constant power to on-board 240V or 110V consumers like the refrigetaror, air conditioning and entertainment systems, thus removing the need for a generator or shore power. Lithium batteries have been around for a while, powering your smartphones, laptop computers and other gadgets that represent a large portion of our lives nowadays. 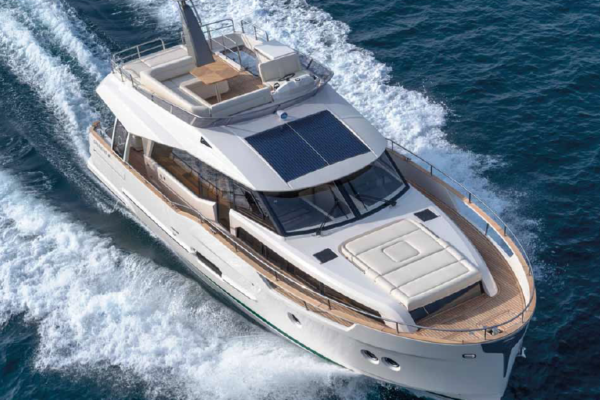 With the wider adoption of electric vehicles in recent years the technology has progressed and we are proud of the fact that starting in 2009 Greenline Yachts have been one of the pioneers of utilising Lithuim Polimer batteries for bigger consumers such as electric propulsion for vessel navigating. Greenline Yachts utilize the best Lithium (Li-Pro) battery technology available; a 11.5 kWh on Greenline 33 and Greenline 39, 23 kWh on Greenline 40 and 40 kWh on Greeline 48 Fly. 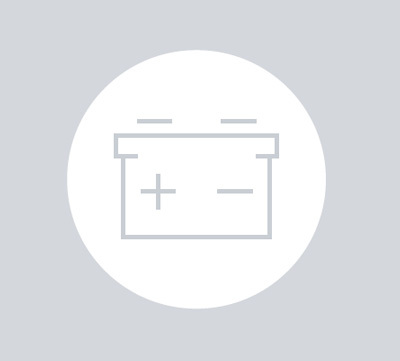 Rated for thousands of charge cycles with 100% discharge, these batteries outperform lead batteries types by a factor of five to six. Very powerful, light-weight (7-times lighter) and maintenance-free, these batteries are the ultimate for your hybrid boat with a life expectancy of over 10 years. 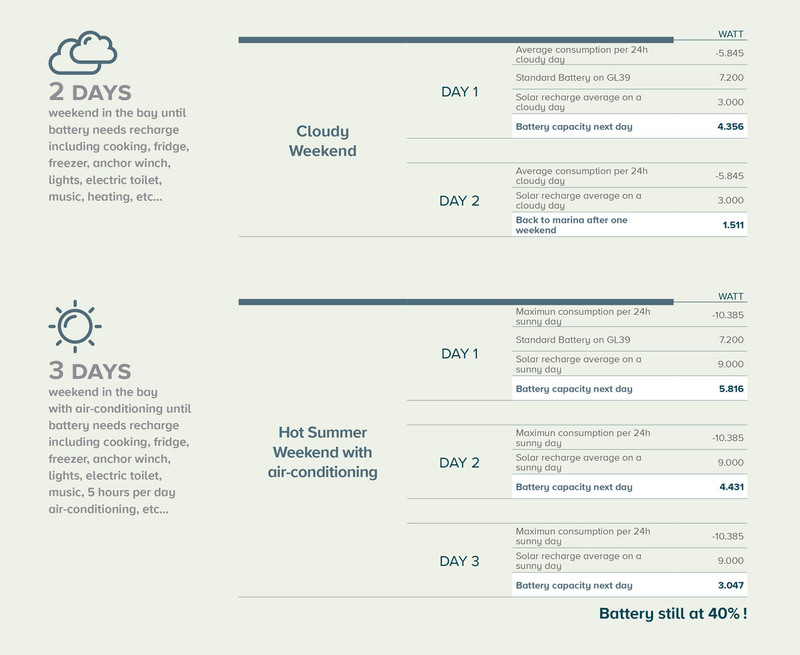 We made some calculations how much power we consume spending a typical summer day at anchor. The simple sheet below is applied to a Greenline 39 with standard battery pack as we wanted to make sure the level of comfort is at the highest possible level for you and your family following the Greenline philosophy of spending time on the water without noise, vibrations or diesel exhaust.